Downtown Brooklyn is getting better and better, and we're here to help you keep track of it all. 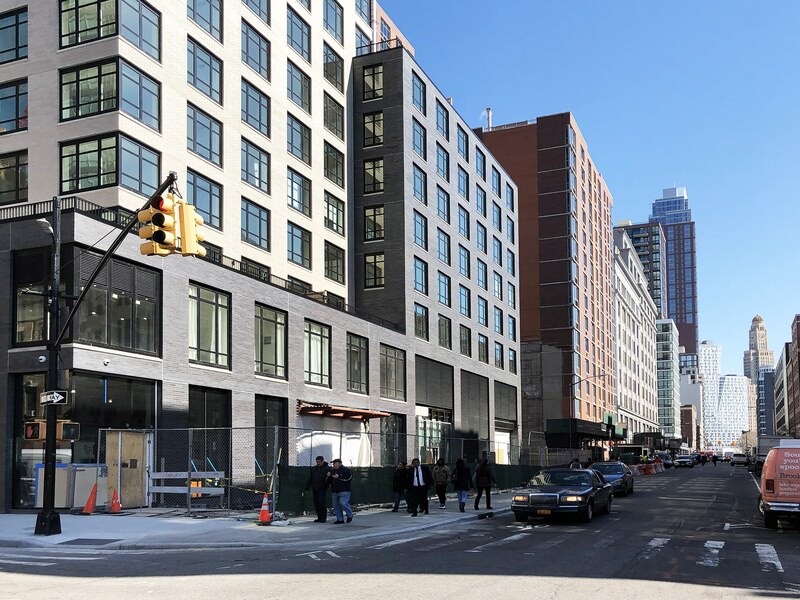 The construction fences are down on Hoyt Street between Livingston and Schermerhorn, revealing another great addition to Downtown Brooklyn: “Hoyt & Horn” - the 26-story residential and retail project developed by Rose Associates and Benenson Capital Partners at 45 Hoyt Street. Designed by Handel Architects, Hoyt & Horn comprises 367 residential rental units, 74 of which are permanently affordable, ranging in size from studios to three bedrooms, with a single, spectacular, four-bedroom apartment also in the mix. 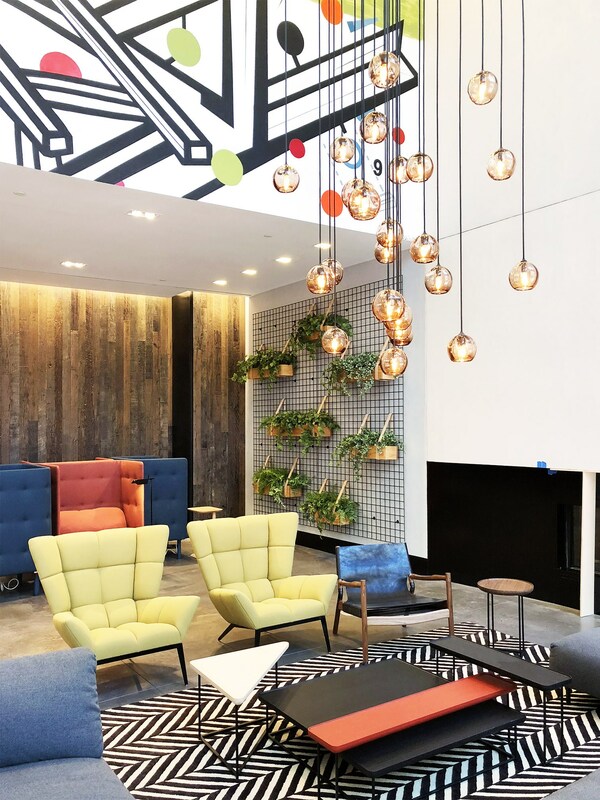 Amenities include a landscaped terrace, roof deck with grills and a sun deck, games room, co-working space, and fitness center. And, as if being located right by Downtown Brooklyn’s 13 subways and 15 bus lines wasn’t enough, the building sits atop the Hoyt-Schermerhorn A/C/G subway station - the entrance to which has been renovated as part of the project. 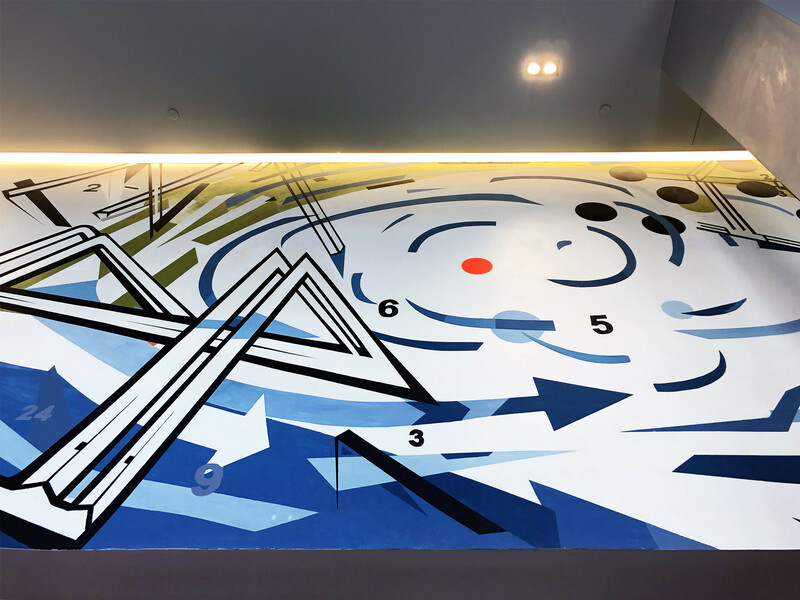 The lobby features a mural by Brooklyn artists Laolu and Sebastian Vargas, a living green-wall and custom glass pendant lights. Hoyt & Horn is one of many area developments that are bringing new energy to the neighborhood. The influx of residents has created new audiences for the prized institutions of the Brooklyn Cultural District, a short walk away, and invigorated the burgeoning local food and entertainment scene. Plus, its 10,000+ square feet of retail space is poised to be a great addition to the already robust downtown shopping scene. With leasing now underway, the building is set to be a boon to the neighborhood. 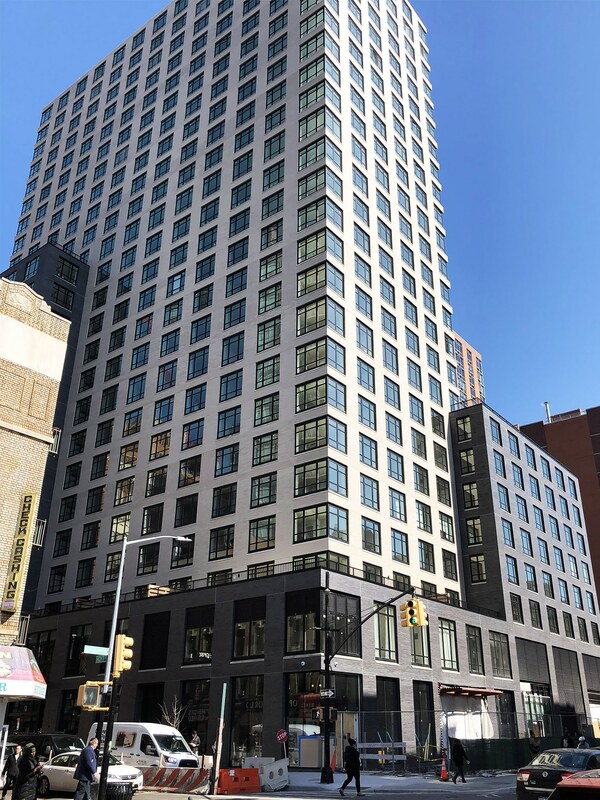 Welcome to Downtown Brooklyn, Hoyt & Horn! Stay on top of all that’s happening in Downtown Brooklyn — follow us on Facebook, Twitter, + Instagram.